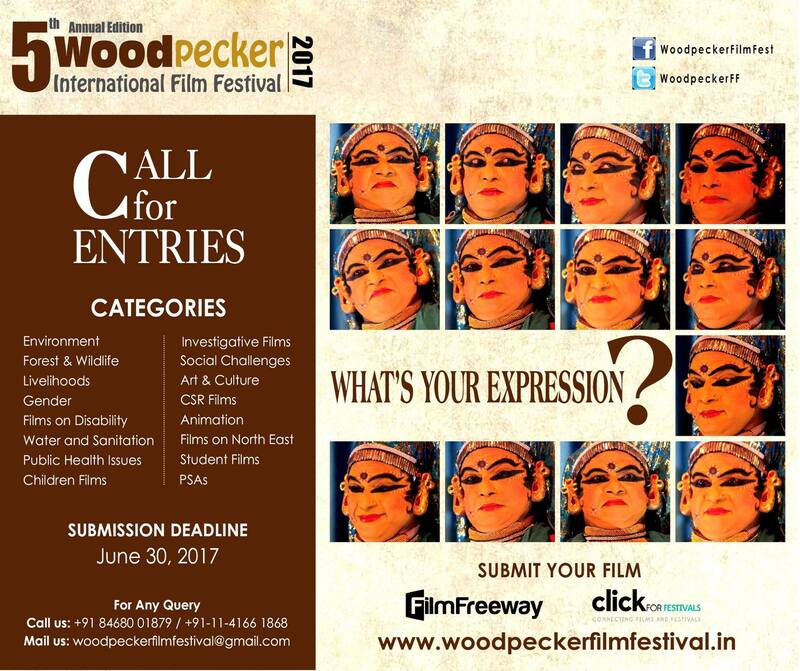 Woodpecker International Film Festival (WIFF) is back with its 5th annual edition to be organised in September 2017 in New Delhi. Film Categories: Environment, Forest & Wildlife, Water, Investigative Films, Livelihoods, Films on Disability, Gender, Children Films, Social Challenges (Child Right Issues, Human Trafficking, Violence, Road Safety), Art & Culture, Water and Sanitation, Animation, Student Films, CSR Films, Films on North East, Public Health Issues and Social Advertisements & PSAs. Regular Deadline: June 30, 2017.